Your little girl is growing up and that momentous day has finally come. You never thought she’d be ready, but she is—she can finally become your crime fighting sidekick! She’s ready to learn that special dropkick move to take down super villains. She’s ready to acquire the ace detective skills to solve those tough cases. She’s ready to take the wheel on the Batmobile (okay, maybe she's not quite ready for that). But most of all, she’s ready to jump into a set of superhero clothes that will keep the bad guys on their toes! She’s ready for this Robin costume for girls! 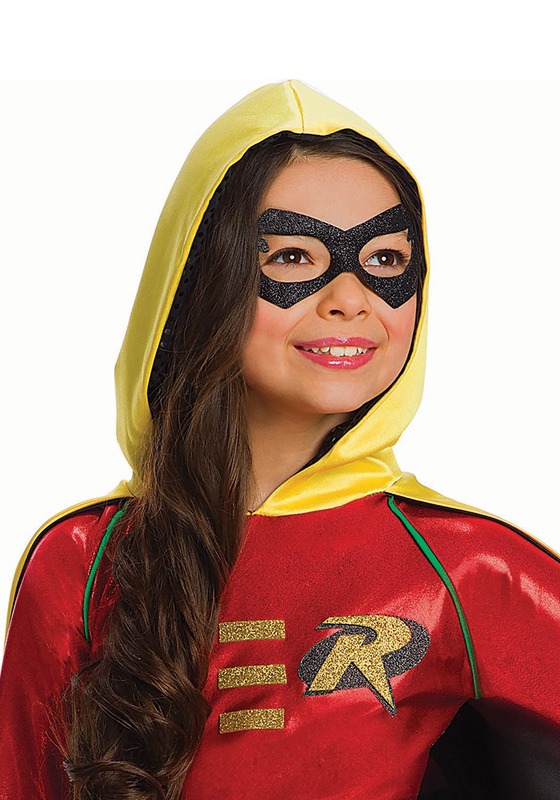 This officially licensed Robin costume has plenty of great details that will have your kid ready to take on the role of a superhero. 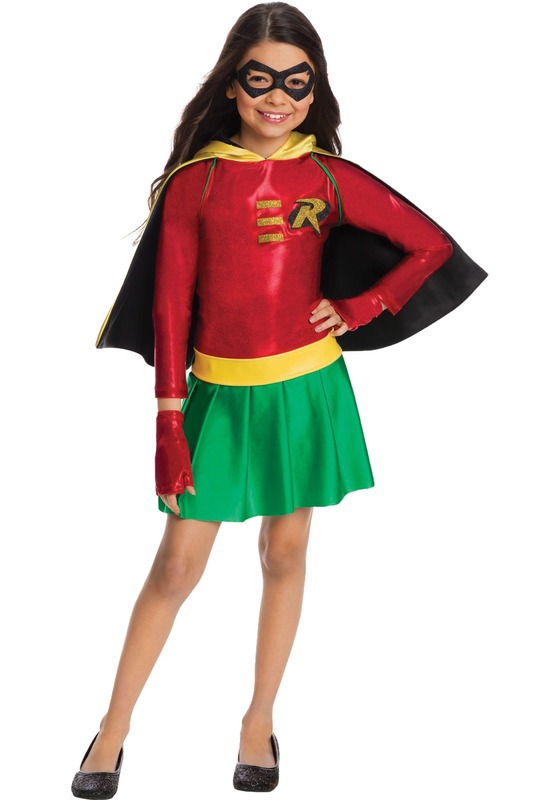 The costume comes with a bright red top with a glittering Robin symbol on the front. The skirt is green and helps continue the classic comic book color scheme. The costume also has a yellow hood, which is perfect for concealing your young superhero’s secret identity. The eye mask also helps in that regard. All of these pieces combine for a look that puts a modern spin on Robin's classic superhero style. Just make sure you teach her well, since she’s going to need her wits and every martial arts move you can teach her when she ends up facing off against the Joker. We’d also like to point out that we have plenty of Batman and Batgirl costumes that you can wear, so you can be a true parent-child crime fighting team!